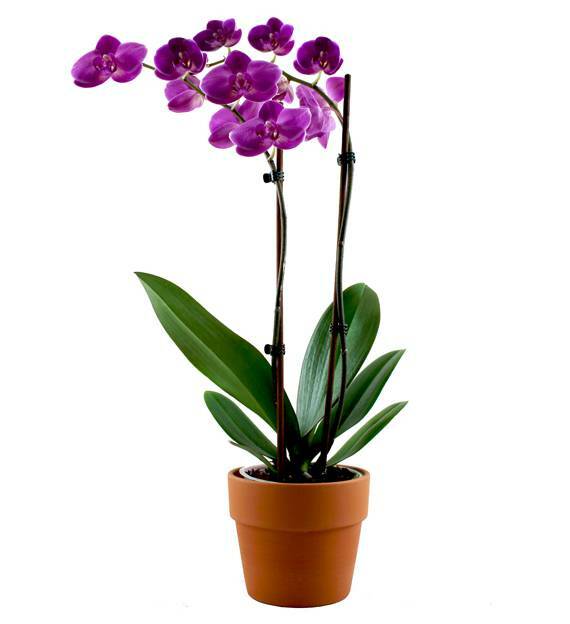 Our Imperial Purple Orchid is a wonderful purple Phalaenopsis Orchid plant potted in a lovely planter. It's an elegant piece that complements any home or office environment. Delivered via UPS/FEDEX in an award winning gift box. Other Items on the site are available for same day hand delivery by your local florist. Please call us if you need help, we are here to assist you. After receiving the plant, water it to settle any soil made loose on the trip. Place the plant in direct sunlight. Plants should be kept in environments in which temperatures are kept between 65-75 degrees in order for them to thrive. 06/04/2012 10:07AM I am really not an orchid lover but since my boyfriend gave this to me, I started planting orchids on my garden. And I am so happy that this one is my very first orchid!— Maxene C.
10/27/2011 7:45AM I needed something special and unique to send my girlfriend, I always send flowers, I knew she loved orchids so I sent her this and she loved it!! For the price this beautiful orchid plant was a great buy! I highly suggest it!— Trent D.